Today was one of the worst mondays of my life. Ever since i have moved in to my current job, Mondays have been relatively easy to handle. I do not have to wake in the morning and go to work as my work starts in the afternoon. God's been kind that i have not got monday morning blues or the sunday evening blues that i used to get in my previous jobs. Today was different. Today happened to be a day called, "Mahashivratri. "Its a day, celebrated annually, in either Mid Feb or Mid March(Depending on the lunar calendar days of the Hindu Calendar). It is celebrated in the reverence of a hindu demi-god - Lord Shiva. By far the only Rockstar demigod in the hindu religion. Ideally, this is a day when, people who are in to spirituality, would find a change of energy level. My guess is that something like that had happened to me. Or has happened to me. I couldnt get sleep last night till 3 AM and had to wake at 9 AM. I had to go to Mira Road for a personal work for which got delayed and a part of it got postponed because the person who was supposed to come got fever (Like atleast 5-6 people i know today). And the nice cool winters that the city had experienced in the last few weeks is almost gone and the heat has become terrible. Add to that travelling in the local trains which are perpetually crowded. After i finished part of my work, i left for office. I reached the famous Dadar Station and when i finally managed to get a cab, it broke down. Then had to run to catch a bus and finally reached office 2 minutes late so now i will be marked late. Grr. On top of it, one of my colleague who was supposed to resue work today will do only next week, so once again i am burdened with his workload which only multiplies daily. I didnt take lunch and due to a communication breakdown, didnt get dinner. In the evening, an important phone call meant that i had to skip my dinner break so that i could maintain the required logged hours. And before i realised it was time for dinner and had to do with eating biscuits. I was super low, super tired and super drained out. Certain conversations about certain someone made me get mixed emotions. For a second i was feeling nice and then suddenly i felt very very low. Maybe it was because i was famished or perhaps it was depression. I am not sure what is going on. My blogs would reflect on what i am seeking in my life, and i have very very very limited time to achieve the goal. I have tried everything within my means (And i literally mean everything) but somehow i have not been getting the results i am expecting. And this has nothing to do with anything on my professional front. 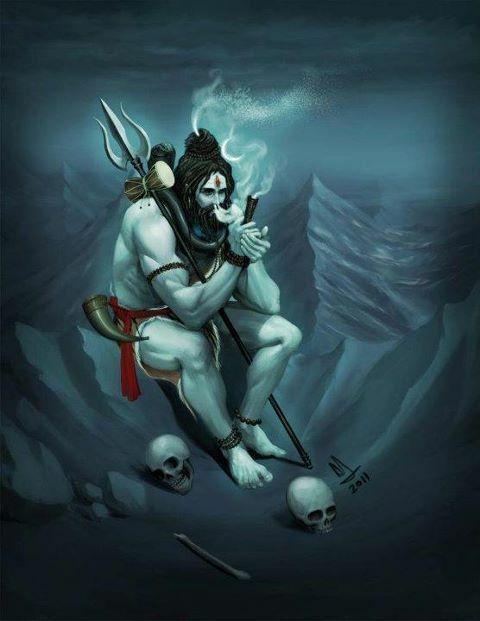 So for today, being Mahashivraatri and hoping the rock star up there is listening, you know what i want. You know my intentions are only noble. If i had to do any perseverance/penance, you know i have done that. If there is any Karmic Cycle that i needed to be a part of, that has happened as well. I only request, do not make this any more difficult for me than it already is. You know what i seek is not materialistic. My blog, today, is for you.